Collins makes language learning fun, fast and flexible. 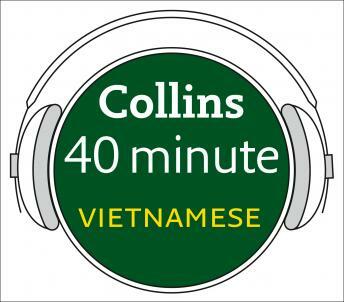 Pick up the essentials of the Vietnamese language with this easy-to-use audio introduction. Covering everything from finding your way to talking about yourself, Collins 40-minute audio can help you learn short and simple phrases quickly by just listening and repeating.Essential words, Asking for things, Numbers, I'd like ..., At the café, In a shop, Basic foodstuffs, Quantities, Tickets, Where is ...? When is ...? Days of the week, Problems, About yourself.